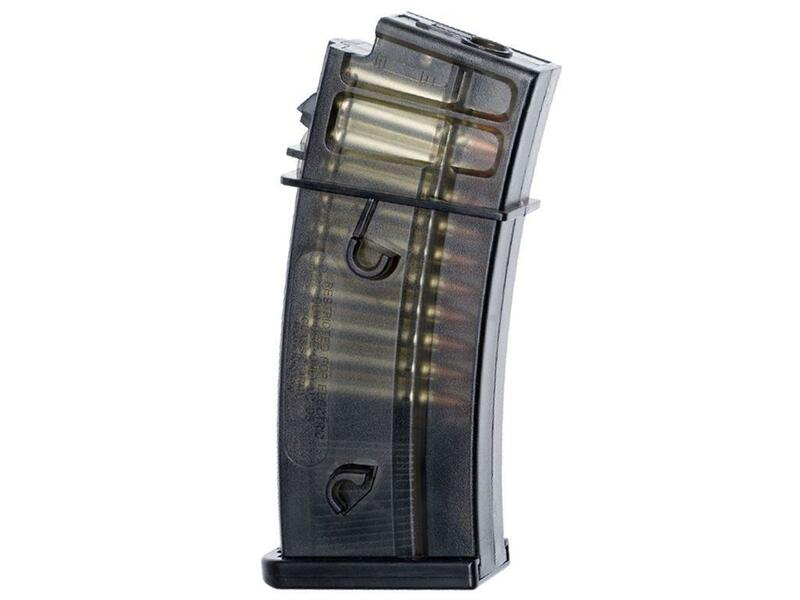 ASG G36 Low-Cap 50rds Airsoft Magazine | ReplicaAirguns.ca | New Website! Comments: Gear up for MilSim airsoft games with this realistic G36 style airsoft magazine. Just like the real G36 magazine, this replica is built for speed with a lightweight polymer construction and integrated stacking studs.